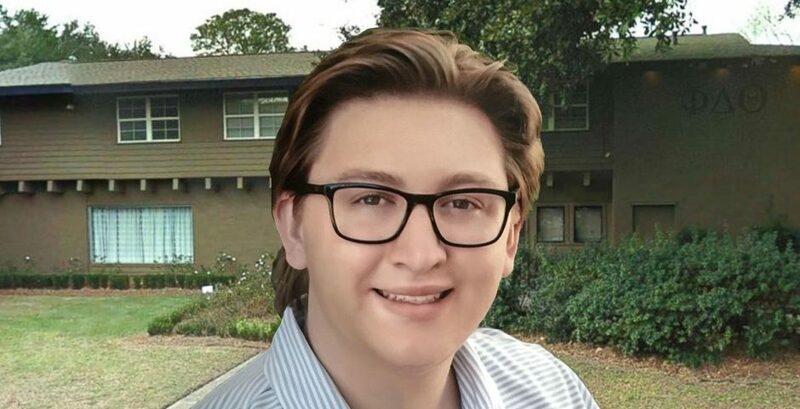 Ten members of Phi Delta Theta at Louisiana State will be arrested after a freshman was allegedly hazed to death last month. 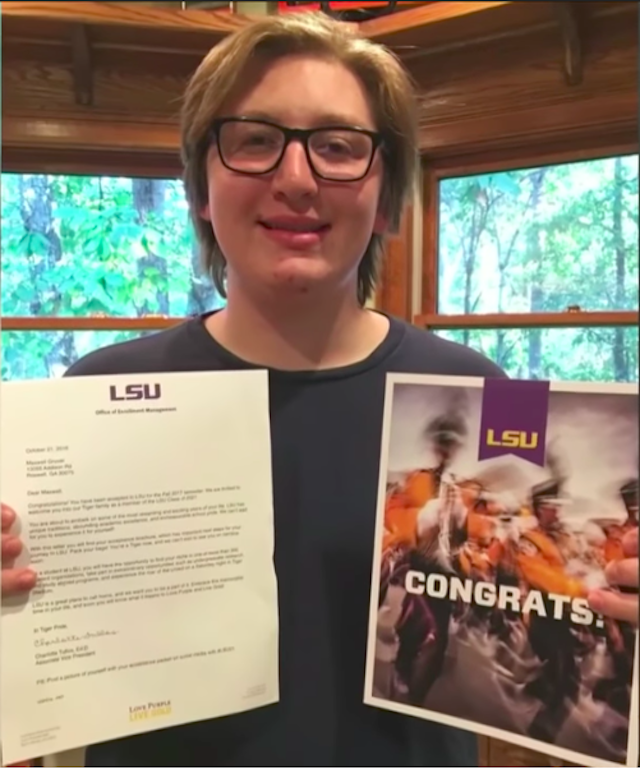 LSU Police have announced they have issued arrest warrants for 10 members of the fraternity that reportedly killed Maxwell Gruver, an 18-year-old pledge. All 10 members have been charged with hazing, and one of the group also has a charge of negligent homicide. They will be booked into East Baton Rouge Parish Prison. Police are investigating claims Gruver was forced to drink alcohol as part of a "Bible Study" drinking game that ultimately killed him. Witnesses say pledges were made to answer questions about their new fraternity and ordered to drink if they answered incorrectly, according to an affidavit. Gruver was "highly intoxicated" when his fraternity brothers left him on a house couch, claims a witness. Police say brothers found him in the same place the next morning with a faint pulse, unsure if he was breathing. He was pronounced dead later that day. An autopsy found excessive fluid in the lungs and brain, with a "highly elevated blood alcohol level plus the presence of THC." They found no signs of internal or external trauma. LSU President F. King Alexander formed the President's Task Force on Greek Life in response to Gruver's death.